The release of ‘Skoda Citigo’ and ‘Volkswagen UP!’ has been speculated in the world’s most thriving and flourishing Indian Car market since their revelation at the Frankfurt Motor Show. 11th Auto Expo that was held in New Delhi did not see any of these hatchbacks. But during Auto Expo 2012 in India, ‘Volkswagen UP!’ was certainly seen on a flatbed truck. However, upon being enquired by the company about the much awaited ‘Volkswagen UP!’, the company denied all the rumors and speculations regarding the launch of Volkswagen UP! in the Indian Car Market. Currently Volkswagen is being considered as one of the top-most German car brand present in the Indian Car Market. Volkswagen India certainly has issues in cutting down the costs to make ‘Volkswagen UP!’ doable for the Indian Car Market. As per a Volkswagen India executive, a toned down version of ‘Volkswagen UP!’ and ‘Skoda Citigo’ will definitely not be good for the image of Volkswagen in India. All the assumptions of Volkswagen being launched in India by 2012 have been negated and now no hatchback neither Skoda Citigo nor the Volkswagen UP! is going to be launched in India anytime soon. Skoda Citigo pictures surely boast about its head-turning exteriors right from the headlights to the wheels. The interiors also give plush and premium experience for a hatchback. ‘Volkswagen UP!’ pictures flaunt an impressive and one of a kind back. On the front, the curve of the windscreen, the headlights and the round rear-view mirrors complement its petite frame. The hefty price tag of the Volkswagen cars is truly justified by the up-market feel that accompanies the brand. Volkswagen however, is in no mood to let these two hatchbacks hit the Indian roads in near future. 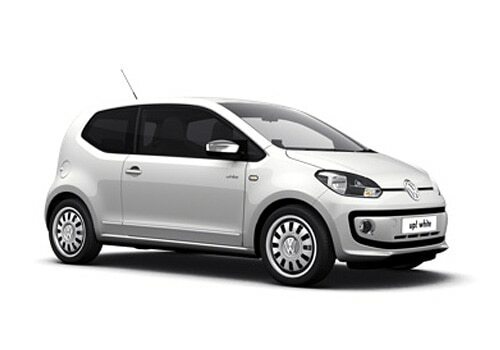 The launch of ‘Skoda Citigo’ and ‘Volkswagen UP!’ can even be delayed up to three years.